USF senior Mariana Sanchez Ramirez (left) talks with WUSF's Mark Schreiner before her trip to Cleveland for the Republican National Convention. A University of South Florida student who came to the United States from Mexico when she was 6 years old is in Cleveland this week, working and studying at the Republican National Convention. Senior Mariana Sanchez Ramirez is studying political science in the USF Honors College. She received a scholarship to attend the RNC from the Washington Center for Internships and Academic Seminars. One hundred students were selected from around the nation to go to Cleveland, while a similar sized group is heading to Philadelphia for the Democratic National Convention next week. Sanchez Ramirez spent last week in Cleveland discussing this year’s campaign in small student groups, hearing from expert speakers like lobbyists and state lawmakers and attending pre-convention-related events. 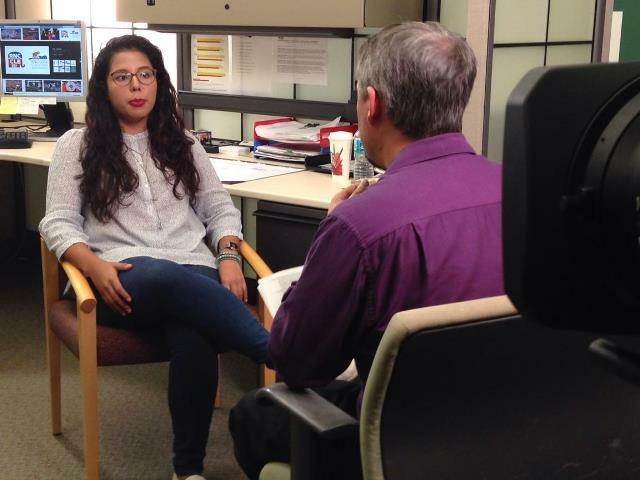 And even though she’ll spend this week working behind the scenes at the convention for Spanish TV network Univision, Sanchez Ramirez hopes convention attendees see an immigrant student who’s now working hard in the U.S.
Sanchez Ramirez adds that she thinks, particularly with immigration being such a major election issue, that Univision could play a major role in educating voters. We’ll follow up with Sanchez Ramirez on an upcoming University Beat on WUSF 89.7 and WUSF TV. For now, you can find a link to her convention blog here. 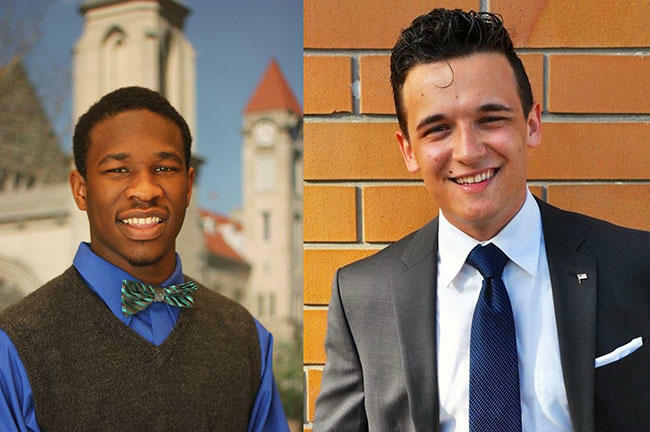 University Beat report on USF graduates and political candidates, Frank Cirillo and Victor Sims. This year, while a lot of college students are getting ready to vote in their first presidential election, two recent University of South Florida graduates are running for office.